The completion of these homes provides two families with the opportunity to purchase their own affordable homes. 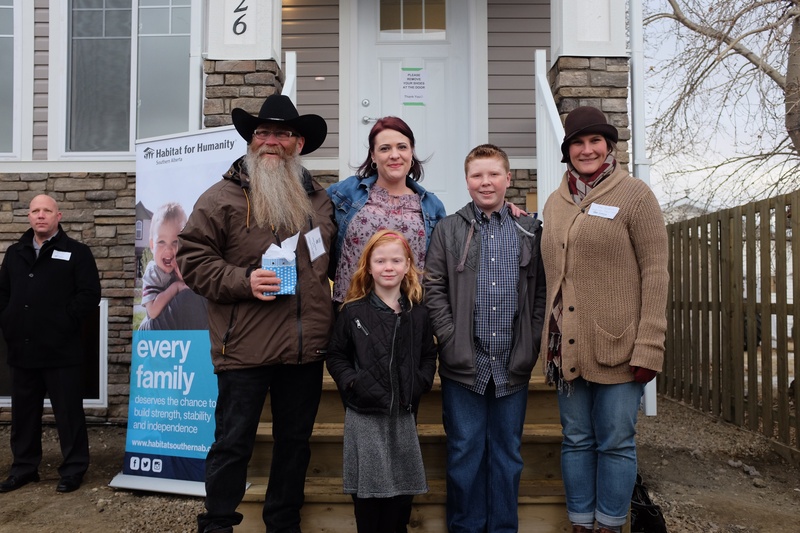 Habitat hosted a Home Dedication and was joined by the sponsors, donors, community partners who have helped to make this possible, along with one of the future Habitat homeowners in Olds. Every Habitat home is the result of community support. This project has been aided by financial contributions from sponsors, donors and community partners, including the Government of Alberta and ATB Financial. "ATB is a long-time partner of Habitat for Humanity in both Northern and Southern Alberta. 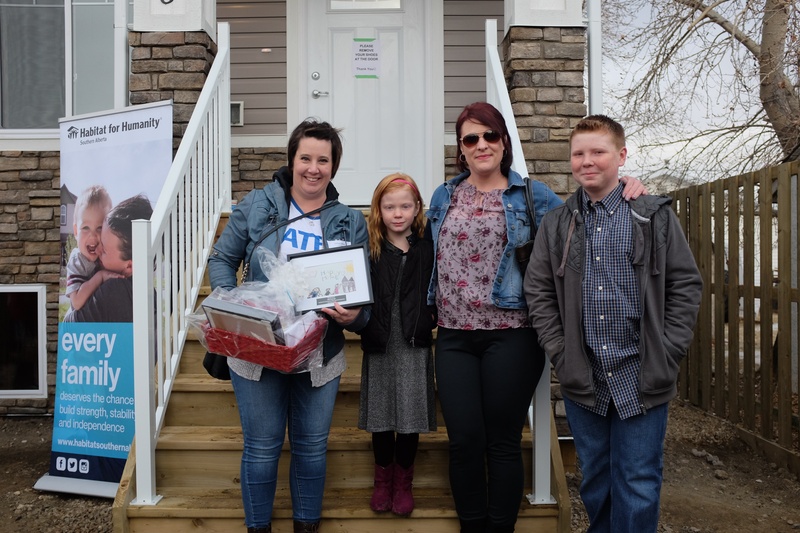 We have participated in many builds across the province with volunteer time and money," said Sandra Huculak, Managing Director of ATB's Corporate Social Responsibility. "Our team was thrilled to volunteer at the Olds build and work on the finishing touches that truly help make a house a home. It warms our hearts that the family is able to enjoy their first holiday meal around the dinner table in their new home and celebrate the holiday season together." 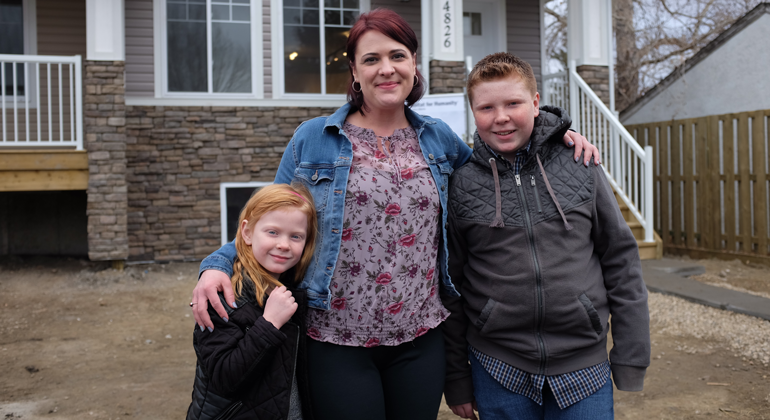 Brandy, mother to Taya and Tyson, is purchasing her Habitat home just in time for the holiday season. “There’s no better Christmas gift than the gift of ‘home,’” she said. Habitat homeowners purchase their homes through Habitat’s affordable mortgage, which means no down payment and no interest. Mortgage payments are geared toward each family’s’ income and will never exceed 25 per cent of their total household income. This gives parents financial flexibility and the ability to build long-term stability for their children. These two homes in Olds are the 10th and 11th Habitat homes in the Mountain View region.